Things to do in Columbus Ohio… the Clintonville Tour is Sunday… Clintonville Homes Tour 2012. The “Historic Clintonville Homes Tour” is September 9th, 2012. These are NOT homes for sale. In fact most years, they prohibit agents from holding open houses in Clintonville. Or they frown on it. 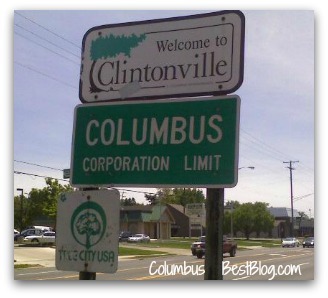 This year is Clintonville’s 165th birthday and of course it’s the 200th birthday of Columbus. The 2012 Clintonville homes on the tour include Colonial Revival, Arts and Crafts Bungalow, Dutch-Colonial and American Foursquare. You can buy tickets online (link to the Clintonville Community Fund above.) Pre Sale Tickets are / were also available at Sobo Style, 3282 N. High Street and Weiland’s Gourmet Market, 3600 Indianola Avenue. Clintonville is a north Columbus neighborhood. The area just south of Worthington is the Clintonville area, or the Clintonville – Beechwold area. This year’s event sounds like a lot of fun. Happy Birthday Clintonville!